Okhaldhunga, Nepal—Although Dr. Sujan Khadka had handled the case of the woman who wouldn’t speak more than a year ago, he remembered the circumstances like it was yesterday. The woman was brought to Rumjatar Hospital in Okhaldhunga, a district in southeastern Nepal, by her son, a boy not more than 11 years old. He wanted someone to help her. The woman seemed troubled but said not a word. Her son said she had tried to kill herself twice. After conducting a physical examination, Dr. Khadka, based on his medical school training, had diagnosed the woman’s condition as depression, prescribed antidepressants and sent her home. So when neighbors brought the woman to Dr. Khadka’s hospital in the spring of 2016 after she tried a third time to kill herself, he recognized her immediately. But this time Dr. Khadka’s approach to her care differed significantly from her earlier visit. As a recent graduate of a Jhpiego program on health providers’ response to gender-based violence (GBV), Dr. Khadka recognized behavior common to survivors of GBV. Fear and control, which are integral to GBV, can prevent many of these women from openly admitting to the violence they suffer. After attending to the woman’s physical injuries and emotional distress, Dr. Khadka, the chief medical officer at the hospital, continued to treat her and monitor her condition as she remained reluctant to discuss her home life. At the same time, he alerted the police and informed the husband of the state’s support of GBV survivors. He counseled the husband on the impact emotional abuse and neglect could have on his wife’s health.The woman was released after a week’s hospital stay, having regained her strength. When the couple returned for a follow-up visit, the woman’s appearance and demeanor were much improved. She was referred to the Office of Women and Children for psychosocial counseling. But the case underscored for Dr. Khadka the importance of proper diagnosis of GBV. “If we only do the medical management and send the survivor back home, the cycle of GBV [could] be repeated [and] we may even lose [the patient],” he said. In Nepal, as in many countries around the world, GBV affects a sizeable percentage of the female population. In the 2011 Nepal Demographic and Health Survey, 22 percent of women ages 15–49 years reported they had experienced physical violence and 12 percent experienced sexual violence at least once. One-third of married women experienced emotional, physical or sexual violence from their spouse. Since the fall of 2015, the government has been working to improve health care services for survivors of GBV who may be lost to care. The National Health Training Center, under the Ministry of Health, developed the country’s first national competency-based training package, “Health Response to GBV.” The package, prepared with technical assistance from Jhpiego and support from the United Nations Population Fund, is designed to prepare and build the skills of health workers to identify and care for survivors of GBV. Health workers perform clinical assessments and offer treatment. They also gather evidence, provide counseling, refer the survivor to a treatment facility, record findings and report the case to an appropriate agency. So far, 75 service providers, 31 qualified trainers and nine master trainers have participated in the program to improve Nepal’s health response to GBV. With a 25-year history in Nepal and a strong track record in developing systems for competency-based learning, Jhpiego is a trusted advisor and partner to Nepal’s Ministry of Health. Along with taking a holistic approach to GBV survivor care, the Jhpiego-supported program underscores the need to provide high-quality services immediately, with sincerity and respect. Ensuring confidentiality of GBV survivors is another key element. “Without preparing master trainers, we could not have reached as many health workers in a systematic manner,” said Dr. Saroja Pandey, a senior consultant on gynecology and obstetrics and a pivotal figure in developing the “Health Response to GBV” package. 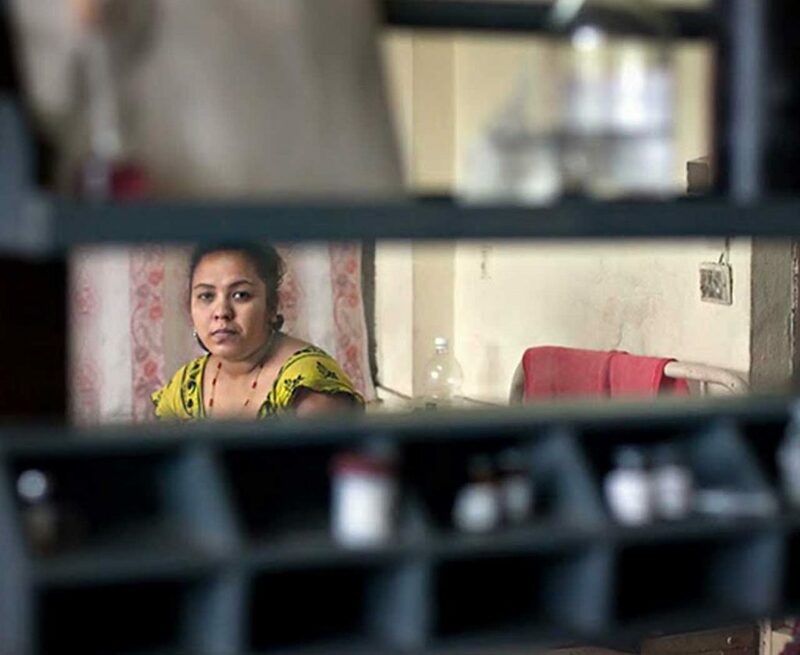 “In general, in most of the countries, the laws and regulations are in favor of the survivors, but the challenge is the extent to which these laws are being used to support survivors,” said Dr. Pandey. Nepal is moving fast to ensure a pool of skilled, competent health care workers who are sensitized to the requirements of providing services to GBV survivors. The goal is preparing staff at 60 percent of health facilities over the next 5 years, said Dr. Ishwor Prasad Upadhyaya, of the National Health Training Center. Now that combating GBV is a high priority for the country, the day is not far off when every GBV survivor will be identified, cared for and supported, breaking the cycle of silence once and for all!